One answer to the question is Tegmark’s talent as an impresario of physics and devotion to making a splash. Before publishing his first paper, he changed his name from Shapiro to Tegmark (his mother’s name), figuring that there were too many Shapiro’s in physics for him to get attention with that name, whereas “Tegmark” was much more unusual. In his book he describes his method for posting preprints on the arXiv, before he has finished writing them, with the timing set to get pole position on the day’s listing. Unfortunately there’s very little in the book about his biggest success in this area, getting the Templeton Foundation to give him and Anthony Aguirre nearly $9 million for a “Foundational Questions Institute” (FQXi). Having cash to distribute on this scale has something to do with why Tegmark’s multiverse ideas have gotten so much attention, and why some physicists are respectfully reviewing the book. Tegmark's "mathematical universe" is really a misnomer, because it is a mathematical multiverse. He does not just say that the universe is mathematical, but he postulates a multitude of other unobservable universe based on purely mathematical constructions. Now, the spin of a particle, although normally described as its angular momentum, is an exquisitely quantum mechanical property (i.e., with no counterpart in classical mechanics), and it is highly misleading to think of it as anything like the angular momentum of a macroscopic object. That is nonsense. 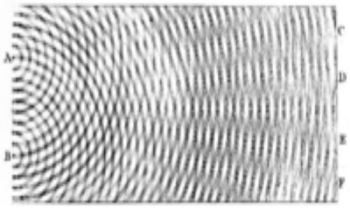 Quantum spin is the quantized version of ordinary classical spin angular momentum, as explained here. Pigliucci also gets hung up on some issues involving Goedel and infinity. So does Tegmark. 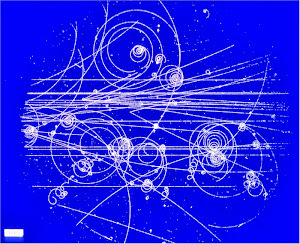 Does de Broglie-Bohm and Many Worlds tell you something non-empty about quantum mechanics? Tegmark’s work is in the same vein. Perhaps you don’t find it compelling, but that puts you in the Copenhagen camp that dismissed the utility of such alternate interpretations for years, ie. “shut up and calculate!”. Alternate interpretations don’t say anything interesting if you’re only interested in empirical data or calculated predictions, since all interpretations are formally equivalent. They do have significant explanatory power though, a power that Copenhagen completely lacks. The de Broglie-Bohm and Many Worlds interpretations are also empty. They have told us nothing, and have no explanatory power. That's right, if some interpretations of quantum mechanics are deterministic, and some are not, then determinism is not a useful concept. And those who give arguments for or against free will based on determinism are misguided. So it is not true that those interpreations say anything interesting. Roger Penrose proposed a provocative and speculative mechanism for how quantum mechanics could enable human consciousness and free will, called Orchestrated objective reduction. It is widely regarded as having been falsified. However new research claims that the theory is still viable. String theory and other approaches to quantum gravity involve phenomena that are likely to manifest themselves only at energies enormously higher than anything we have access to here on Earth. The cosmological multiverse and the many-worlds interpretation of quantum mechanics posit other realms that are impossible for us to access directly. Some scientists, leaning on Popper, have suggested that these theories are non-scientific because they are not falsifiable. The truth is the opposite. Whether or not we can observe them directly, the entities involved in these theories are either real or they are not. Carroll has acquired a public image as a prominent physicist who speaks out for science and against religion. He is currently on the TCM TV channel promoting old movies with science themes. He is an embarrassment because he promotes crackpot ideas and denies scientific evaluation. I had assumed that he was a Cal Tech professor, but he is not. His blog is on the Wikipedia local blacklist. I don't know why, except maybe for all the silly unfalsifiable ideas he promotes in the name of science. Rahul: there are hundreds of rock-solid reasons to be near certain that string theory is right and none of these reasons has anything to do with experiments of the last 40 years. The characteristic scale of string theory – or any other hypothetical unifying theory or theory of quantum gravity – is inaccessible to direct experiments which means that the bulk of pretty much any progress is of mathematical nature. Am I really the first one who tells you about this fact? Meanwhile, far away from the din of the circus tent lies the actual truth of the matter: that we’re in more-or-less the same situation with QC that Charles Babbage was with classical computing in the 1830s. We know what we want and we know why the laws of physics should allow it, but that doesn’t mean our civilization happens to have reached the requisite technological level to implement it. With unforeseen breakthroughs, maybe it could happen in 20 years; without such breakthroughs, maybe it could take 200 years or longer. Either way, though, I’d say that the impact QC research has already had on classical computer science and on theoretical and experimental physics, more than justifies the small number of people who work on it (fewer, I’d guess, than the number of people whose job is to add pointless features and bugs to Microsoft Office) to continue doing so. I guess that there is some worthwhile research that makes extravagant claims in order to get funding. I am not seeing that as a good thing. Also, Google still hopes for QC performance. I'm currently having an interesting exchange with Peter Woit on his site, and we so far haven't identified a single scientific issue (as opposed to personal opinions about what's interesting/promising) where he actually disagrees with me. Do you personally agree with something specific that I've written? If so, I'd love to hear it! Woit's slogan is "not even wrong". You say that you do not disagree on a single scientific issue, but I think he would say an untestable math multiverse hypothesis is not a scientific issue that can be right or wrong. At best, it is just a way of thinking about mathematical Platonism. I just wrote a long post on Peter Woit's blog, explaining why I consider some of his critique unscientific, and I'm curious to see what he responds! Have you had a chance to read my book, or are you merely making assumptions about what I'm claiming based on Peter's postings? Max I see your comment on Woit's blog, and I added my own. I have not read your book, and I am relying on reviews, your web site, and your published papers on MUH. I criticized your book before those reviews came out, based on the SciAm excerpt. I have previously criticized your MUH on this blog several times, such as here, here, and here. I partially agreed with you here. I believe in a non mathematical universe run by God, Who is not restricted by any laws of mathematics or physics.